By signing up, you’ll receive action alerts and newsletters from Access Now. Millions of people have demanded an end to unconstitutional mass surveillance. They have demanded that Congress reject cyber surveillance legislation which has gone by names such as CISPA, CISA, PCNA and NCPA. Yet, Speaker Paul Ryan has decided to include a new “Frankenstein” bill in the omnibus spending bill. 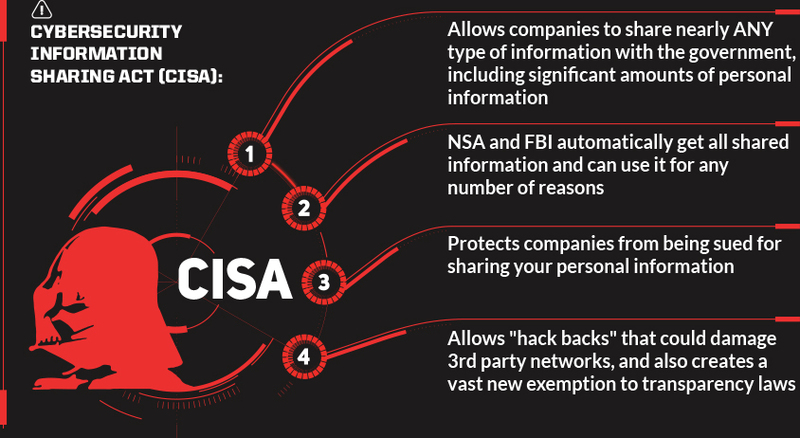 The new bill is called the Cyber Security Act of 2015, but it includes the worst parts of previous bills – CISA, PCNA, and NCPA. You can see how the new Cyber Security Act combines the worst parts of all bills by downloading this PDF created by our friends at New America’s Open Technology Institute. Masquerading as “cybersecurity” legislation, this new Frankenstein monster rewards companies that give our private data with the government, which will immediate hand it over to the NSA and the FBI. We need President Obama to veto any bill that violates our rights.